Oct 2017 - Jan 2019. New edition of MRI project for ISS. 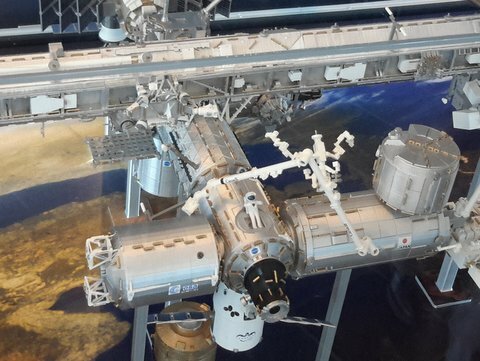 Scientists from MRI-TECH Canada Inc. resumed cooperation with University of Saskatchewan (dr Gordon E. Sarty) and Honeywell on a new project supprted by Canadian Space Agency (CSA) on magnetic resonance imaging of ankles aboard the International Space Station (ISS). Sep 2016. 10th Anniversary of the MRI-TECH Canada Inc. and MRI-TECH Sp z o. o. Ten years ago, Polish and Canadian investors and founders established Polish-Canadian joint venture, MRI-TECH Sp. z o. o. and its Canadian counterpart MRI-TECH Canada Inc. The aim of the initiative was to develop and produce low field, open, whole body MRI systems. On the anniversary of this event formal dinner took place in Krakow. The Funders and the Directors as well as scientists from the Jagiellonian University and the Institute of Nuclear Physics, Polish Academy of Sciences and the University of Science and Technology, who contributed to the creation and development of the Company took part in the celebration. Friendly atmosphere of the meeting facilitated memories as well as opened minds and visions for new challenges. Apr - May 2016. The Cirrus Open 0.2T installed at the Institute of Bioimaging, University of Bordeaux (Institut de Bio-Imagerie Université de Bordeaux). Dr. Eric Thiaudier, the head of the Institute of Bioimaging, University of Bordeaux, ordered installation of the system. Dr. Thiaudier leads innovative research regarding mapping of enzymatic activities in small animals using dynamic polarization imaging. MRI-TECH Canada Inc. and MRI-TECH Sp. z o.o. staff carried out the installation. The standard Cirrus Open 0.2T system was used. However the magnetic field was lowered to the exact value of 0.1935T (+/- 0.25%) following the stringent customer requirement. May 2014. Study phase of MRI project for ISS. 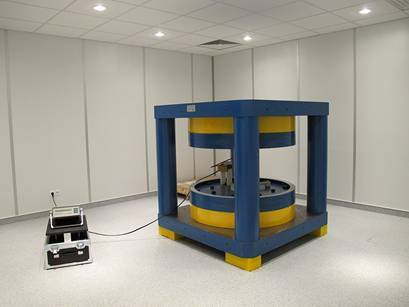 The magnet room of the new MRI laboratory with 0.2 T magnet produced by MRI-TECH Sp. z o.o. 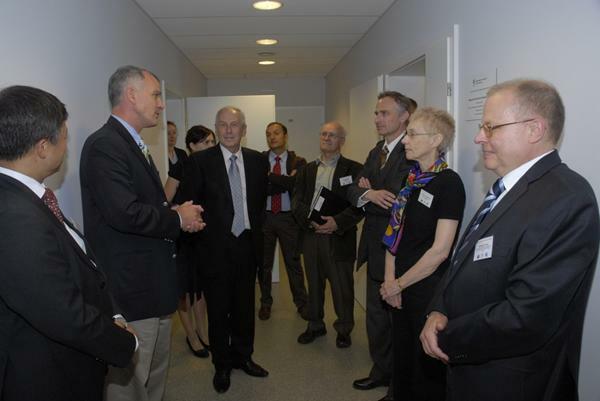 On September 7, 2011 the new laboratory of MRI was opened at the AGH University of Science and Technology in Krakow. 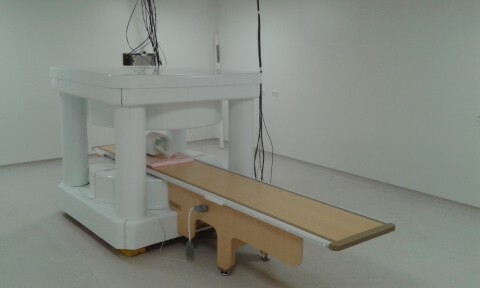 The lab is equipped with Cirrus Open 0.2 T MRI system produced by MRI-TECH Sp. z o. o in collaboration with IBD-NRC. The lab came to existence as an effect of collaboration between AGH, MRI-TECH Sp. z o.o. and Institute for Biodiagnostics of National Research Centre of Canada (IBD-NRC). This is why in this event besides of authorities of AGH participated among others Daniel Costello Canadian Ambassador to Poland, Dr. Roxanne Deslauriers Director of Research of IBD-NRC and Dr. Krzysztof Turek President of MRI-TECH Sp. z o.o. 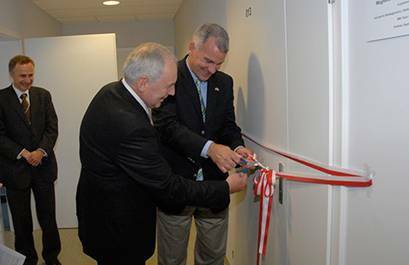 The cutting of ribbon by Prof. Tomasz Szmuc Vice-president of AGH and Daniel Castello Canadian Ambassador to Poland. In the background is Dr. Boguslaw Tomanek the leader of MRI Research Group of IBD-NRC. Discussion in the front of laboratory door. The City Hall, Kraków, 2 Oct 2007. 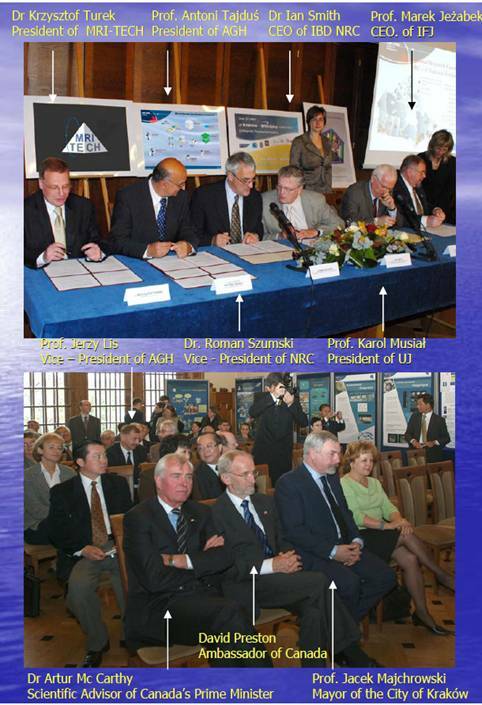 Ceremony of signing research collaboration agreements. Abbreviation: AGH - University of Science and Technology, Kraków, IFJ - Institute of Nuclear Physics of Polish Academy of Science, Krakow, UJ -Jagellonian University.